In 2013 a page was turned at Weingut Reichsrat von Buhl in Deidesheim. With a new team in charge, the first tranche of new Franconian oak tanks and lightly used French puncheons in the cellar, a bone-dry style in place for white (and rosé) wines, and counting on timely-picked ne plus ultra fruit from vineyards that had been converted to organic farming six years earlier, von Buhl was poised to attract attention after an extended period of relative under-achievement. When the 2013s could be tasted the following year, and since, most critics have reacted enthusiastically. My first peek came at Weinbörse 2015, where the 2014 village Riesling from Deidesheim was an amazing value for money, and a cask sample of 2014 Kieselberg Riesling Erste Lage demonstrated the estate’s potential for excellence in the category informally known informally as premier cru. A visit to the estate on the last day of May this year painted a more complete picture even though I concentrated solely on Riesling: not only is von Buhl now making intensely exciting wines, the team is also brimming with personal energy, keenly aware that the combination of historically great vineyard parcels and now impeccable farming, supported by new owners who are more interested in long-term excellence than in short-term profits, gives von Buhl a opportunity to reach for the stars for the first time since early in the 20th Century. The Buhls and the Jordans. To put this news in context, two stories must be told. The first concerns the ties that linked the Buhls, originally from Ettingen, near Karlsruhe, with the Jordans, originally from Roschbach, near Landau, during the first half of the 19th Century, both before and after scions of both families became neighbors at Deidesheim in 1806. Jordans and Buhls both cleaved toward political liberalism. From 1806 they were also linked by marriage, Franz Anton Christoph Buhl (1779-1844), a member of the Bavarian Abgeordnetenkammer, having married Maria Barbara Jordan, sister of Andreas Jordan (1775-1848), who was also an Abgeordnete. Buhl moved to Deidesheim immediately after his marriage. For his part, Jordan was an iconic figure who did more than any other to establish the Pfalz on Europe’s viticultural map. Educated in philosophy at Mainz and trained about winegrowing in the Rheingau, Jordan had assumed the reins at his family’s estate as French troops left in 1795. He argued for always planting the best grape varieties in the best south-facing sites, and for quality over quantity. After his marriage, Buhl also took up winegrowing; by the 1840s his winery had become a gathering place for liberal Abgeordnete. Meanwhile, in the 1830s, two further marriages had linked Jordans and Buhls. Franz Peter Buhl (1809-1862), Franz Anton Christoph’s son, married Andreas Jordan’s daughter Josephine in 1836; two years later Andreas Jordan’s son Ludwig Andreas (1811-1883) married Franz Peter Buhl’s sister Seraphine. When Andreas Jordan’s brother Peter Heinrich, also a local winegrower, died in 1830, he left his wine business to his sister Maria Barbara’s children; for a time Franz Peter Buhl and Ludwig Andreas Jordan functioned as co-managers of Weingut P. H. Jordans Erben. When Andreas Jordan died in 1848, he did not have a will, leaving his family and inlaws to agree a division that would be generally consistent with the default principle that a man’s children should inherit, and do so equally. So large was the estate, and so consequential for the individual beneficiaries and the town – Ludwig Andreas had followed his father as mayor — that the agreement, which came to be called the Jordan’sche Teilung, was closely followed. The core business and approximately 15 hectares of very good vineyard passed to Andreas’ son. Another 15 hectares, more or less, went to elder daughter Josephine, who was married to Franz Peter Buhl. These parties also split Peter Heinrich’s estate. A lesser amount of vineyard plus other property went to younger daughter Auguste Margarete, who had married Friedrich Deinhard (1812-1871) of Mainz in 1844. The Teilung effectively created three wine estates from one, all of which have survived to the present day, albeit with normal ebb and flow of acquisitions and alienations, and name changes, that punctuate business history everywhere. After Ludwig Andreas’s death in 1883, the core estate passed via his daughter Auguste to her husband Emil Bassermann, who then suffixed –Jordan to his own name and title, creating Weingut Geheimer Rat Dr. Bassermann-Jordan. (The suffixed surname apparently required approval from high authority; it is said to have been blessed by no less than Ludwig II, King of Bavaria from 1864-1886.) Franz Peter Buhl forged Weingut F. P. Buhl from Josephine’s share of Andreas’ estate. Much later, in 1912, the name of this business was changed to Weingut Reichsrat von Buhl, see below. Meanwhile, in 1849, Friedrich Deinhard created Weingut Dr. Deinhard with Auguste Margarete’s share of the estate, but separate from the Deinhard’s pre-existing wholesale wine business in Mainz. There was a name change here too: in 1907 Friedrich’s son Andreas renamed this estate for his son-in-law Leopold von Winning. All of Dr. Deinhard, Bassermann-Jordan and von Buhl prospered through the second half of the 19th Century, but among them Buhl seems to have excelled. Franz Peter Buhl’s son Franz Armand (1837-1896) was a savvy businessman and passionate vintner keenly interested in an array of wine-related technical problems, not least spoilage after bottling. Franz Armand also married into some exceptional vineyards in Forst, about two kilometers north of Deidesheim. 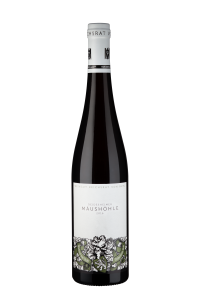 Fruit from some of these vineyards came to Weingut F. P. Buhl almost immediately after his marriage to Juliane Schellhorn-Wallbillich in 1865, making interalia the “Forster” wine that was famously served when the Suez Canal was opened in 1869. The estate’s high profile was further embellished after Franz Armand’s son Franz Eberhard (1867-1921) took the reins in 1909, seamlessly integrating the Schellhorn-Wallbillich assets with those devolved from the Teilung; this established Buhl as the largest wine estate in the Pfalz. Once Peter Eberhard had been named in 1911 to the Kammer des Reichsräte for his political contributions, he renamed the family business to incorporate his new title. Fast forward to the second half of the 20th Century. Two wars had left their mark on all three beneficiaries of the Teilung, as on much else in Germany, but there were special problems at von Buhl. Because Franz Eberhard and his wife were childless, they adopted offspring of their friends in an effort to ensure succession for the wine estate. Franz Eberhard died 1921; his widow Frida then managed the estate until her own death in 1952, whereupon it passed to Enoch zu Guttenberg, the then six-year-old progeny of Franz Eberhard’s and Frida’s very good friends. The Guttenbergs were indeed a distinguished family, liberal politically like the Buhls, courageous against the Nazis, and champions of European unity after World War II, but neither Enoch (who went on to a career in music) nor other members of the family were enough interested in the wine business to give it hands-on attention. By the 1980s some winery assets had been sold in an effort to keep the estate solvent, but in 1989 it nonetheless passed into bankruptcy. The Guttenbergs then leased the estate, still in bankruptcy, to a Japanese businessman. This step stabilized von Buhl, prevented the further the sale of assets, and enabled the conversion of its vineyards to organic protocols. The cellars were also improved, old concrete tanks replaced with stainless steel, and a respected winemaker was installed, but by this time the Trockenwelle had transformed the prevailing style of German wines, and a new generation of professionally-trained winemakers had taken over neighboring estates in the Pfalz and Rheinhessen. Against this tableau, von Buhl was able to persist, but did not excel. Niederberger: Reunification of the Jordan Estate. Here begins the second of the two stories. Enter Achim Niederberger (1957-2013), a self-made man from very nearby, in Neustadt. Niederberger had first grown a tiny start-up business into a printing-, publishing- and advertising-based colossus, creating a large personal fortune. He had also become a wine connoisseur and collector. His fascination with wine had led to the acquisition of a one-hectare vineyard near his home, which he persuaded no less than Weingut Müller-Catoir’s iconic winemaker Hans Günter Schwarz to manage. While it is scarcely unusual that wealthy individuals with vinous tastes enter the wine business, Niederberger was animated by a singular vision: he wanted to purchase in pieces, reunify, and restore to paramount greatness a wine estate that had been sundered 150 years earlier, namely the estate of Andreas Jordan described above. His first completed step was to acquire Bassermann-Jordan in 2002. Von Winning (ex-Dr. Deinhard) came next, in 2007. Von Buhl required patience. Niederberger was able to negotiate a purchase agreement as early as 2003, but was unable to become owner-in-fact until the aforementioned ten-year lease had run its course in 2013. On the plus side, however, the delay allowed him time to plan a renaissance for von Buhl, and to assemble a renaissance team. Ironically, it also gave fate time to interfere. In 2011 Niederberger was diagnosed with an incurable disease that would claim his life before the lease expired. While this could easily have been the end of the Grand Plan, it was not. Niederberger’s wife Jana stepped into his shoes, prepared to direct the management of all three estates until such time as their young daughters could assume roles of their own. Von Buhl Today: What matters now is neither of the two stories but the present and future of von Buhl. The new team, each member recruited and selected separately by Niederberger before his death, is in some ways an unlikely duo. The general manager is Richard Grosche, a journalist by training, and a veteran of Meininger Verlag, a German food and wine publisher based in Neustadt. Niederberger first met him in 2011. Although widely known and knowledgeable about wine, Grosche had no previous experience in wine production. The winemaker is Mathieu Kauffmann, Alsace-born, Montpellier-trained, and chef de caves at Champagne Bollinger from 2001 to 2013. Kauffmann downsized to make the move: he is now hands-on in the von Buhl cellar, with a staff of just seven, down from 55 at Bollinger. Pure serendipity had connected Kauffmann with Niederberger. It happened that a professor of philosophy at Munich who knew Kauffmann also knew Hans Günter Schwarz, who (see above) also knew Niederberger. Unlikely or not, serendipitous or not, Grosche and Kauffmann are now a genuinely electric team, each animating the other. It was Grosche, before he was recruited, who had convinced Neiderberger that von Buhl’s extraordinary endowment in top sites made it the jewel in the Jordan’sche crown. And it was a tour of these sites (followed by some serious tasting!) that had convinced Kauffmann that he would have a chance to make even finer wines at von Buhl than he had done chez Bollinger. The core of the renaissance is a new style for von Buhl’s Riesling program, which accounts for 85 percent of total production. Point One in the new style is reliance on fully ripe fruit from the exceptionally fine sites that are the estate’s core strength. Kauffmann assesses ripeness straightforwardly: he “eat[s] kilos of grapes straight from the vines” in the weeks leading up to harvest. “You cannot make a good wine from tasteless fruit,” he explains, as if it were obvious. Low yields help too: the combination of low yields and organic (now verging toward biodynamic) viticulture deliver ripe fruit at low levels of sugar accumulation. Point Two is the converse of Point One: as soon as the grapes are ripe, they are picked without delay. This means that each vineyard is picked several times, often four times, not (as Austrians often argue) to achieve a bit more flavor, but to get all the fruit as close as possible to its own perfect ripeness. Point Three: Kauffmann trusts active yeasts, and spent yeast in the form of lees. “Energy comes from the yeasts,” he asserts, “they keep the wine fresh and give it the potential to age for many years. Yeast [also] inoculate the wine against oxygen.” It follows that new wines are kept on the full lees as long as possible, in fact, until the final cuvees are made, sometime in the spring following the vintage, but one or two years later in the case of the best wines. Kauffmann does not fine wines, or juice, and uses sulfur very parsimoniously; he also likes wooden fermentation vessels, in a combination of 500-liter barrels and 2400-litre Doppelstücke. Winemaking is thus oxidative, not reductive, ensuring that the wines, though tense, are never brittle. Finally, Point Four is that wines made this way do not need residual sugar. Except for a handful of self-proclaimed Kabinette and Spätlesen, all wines at von Buhl are now dry, and all dry wines are really dry (barely one gram of residual sugar), a choice that has led to wines of exceptional precision, cut and tension, while the fine quality of the grapes themselves assures concentration, complexity and nuance. It also puts von Buhl in the company of (so far) very few producers for whom dry is very dry indeed; see the post on this site about Dreissigacker for another example. All fermentations begin with naturally-occurring yeast, but a yeast isolated by Weingut Dr. Bürklin-Wolf in Pechstein is added when each ferment contains about 13 g/L of unfermented sugar, and this yeast works until the job is done. Erste and Grosse Lage wines spend at least 14 and up to 22 months of the full lees. While it is not surprising that this protocol yields benchmark editions of the estate’s top site-specific wines, the team’s approach has also created astonishingly good results with the basic village wines, which consumers are invited to take seriously. Although von Buhl has always made sparkling wines alongside its still wine portfolio, it will now deepen this program, taking advantage of Kauffmann’s Champagne experience. Making both bottle-fermented late-disgorged wines as all-Riesling cuvees, and as all-Pinot blanc de noirs, and all of the above made exclusively from the first press fraction, and never dosed beyond 5 g/L. Standby for the first release of these sparkling wines in another year or two. Expect some exciting still (and site-designated) Spätburgunder as well: the 2014 Spätburgunder “Suez” is a peek into the future. In short, Weingut Reichrat von Buhl is now making some of the Pfalz’s most exciting Rieslings. Rudy Wiest Selections (Carlsbad, CA) is the USA importer.